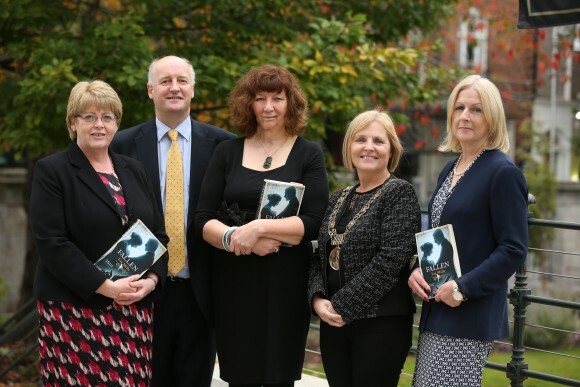 For the first time Dublin will team up with Belfast for a Two Cities One Book festival as readers in both Dublin and Belfast read Fallen during the month of April. A programme of events in both cities will provide opportunities to engage with the book in a range of contexts. The full programme, organised by Dublin City Public Libraries and Libraries NI (the library authority for Northern Ireland) will be announced in March 2016. Fallen is Lia’s third novel, and tells the story of Dubliners against the backdrop of the dramatic events of Easter Week 1916. Through the experiences of its central character Katie Crilly, the novel explores the challenges of day to day living in a conflict situation alongside subjects such as education and votes for women. It vividly depicts the various and conflicting allegiances faced by Irish soldiers in the First World War and those supporting the cause of the rebellion. “There are many ways to tell the stories of 1916. Historians will provide us with the factual accounts of the events of the Rising, but novelists like Lia Mills can add layers to that narrative. By focusing on personal stories, with which we can all identify, we can discover what daily life was like for the citizens who were caught up in a series of tumultuous events which changed this country forever. I am delighted that this book has been chosen for next year as part of the Ireland 2016 Centenary Programme, the moment when we as a nation will commemorate the events of 1916”. “This is a great opportunity to encourage people in both cities to read and discuss the same book and the project supports one of Libraries NI’s core aims of promoting reading and literature. The timeframe and the chosen book is particularly relevant considering next year’s planned commemorative events for the Decade of Commemorations for World War One and for the Easter Rising, both significant historical events which form the backdrop of the novel”. Dublin City Librarian Margaret Hayes says “Dublin: One City One Book 2016 will be the eleventh year of this annual programme. Fallen is a novel which through its characters, plot and narrative tells the story of ordinary Dubliners caught up in the historic events of Easter 1916 and is a perfect choice for Dublin: One City One Book 2016. I am especially pleased that readers in Dublin and Belfast will jointly explore this book and share their reading experiences in a first time collaboration of “Two Cities, One Book”.